The South African Police Service (SAPS) has announced a massive employment drive to encourage young people to sign up as police officers. 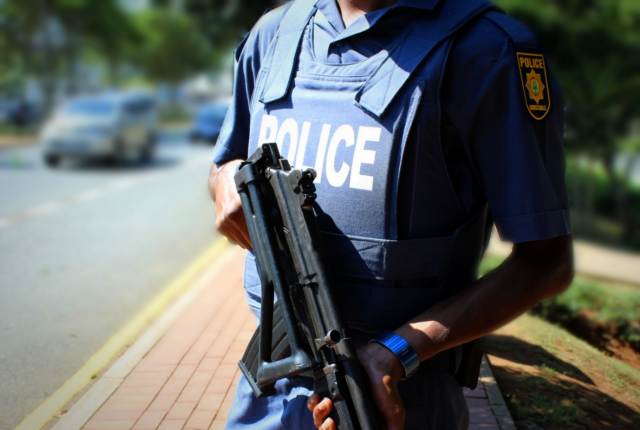 In a statement released on Tuesday (22 May), the SAPS said that it was targeting youths between the ages of 18 and 30, with notices published on the SAPS website and across a number of national, provincial and local newspapers. Deputy national commissioner of Human Resources Management in the SAPS, Lieutenant General Bonang Mgwenya, said that the drive was a fantastic opportunity for young South Africans who are promising, disciplined and have the right attitude to become members of the SAPS. The SAPS remains a number one choice of employment, she said. “We are currently on a nationwide recruitment drive to seek these young people who will one day ensure that the people of South Africa are and feel safe. Good luck to all the applicants, I look forward to meeting some of you during the recruitment drives. “To ensure that we enlist the “Cream of the Crop” and only the right people into the service all applicants will be subjected to fitness, psychometric and integrity testing as well as medical evaluations during the recruitment, selection and enlistment process. Vetting and fingerprint verifications will also be conducted,” she said. Young people must also possess leadership skills and regard themselves as honest, focused, highly driven, and are passionate about policing, are encouraged to apply. “Those that have criminal records or pending criminal charges, as well as those who have previously served in a government department and were subsequently dismissed due to misconduct, have been discouraged from applying,” it states. Mgwenya added that successful applicants will report for training in January 2019 for a period of 21 months. According to the latest available salaries data (2016), police salaries are determined by years of experience across different wage bands. This includes an annual average salary of R54,000 for recruits, between and R105,000 – R156,000 for officers, and up to R450,000 for colonels. However these figures are likely to increase alongside current governmental wage negotiations. According to the latest salaries information from Payscale, police officers can expect to earn between R117,000 – R243,000 a year.